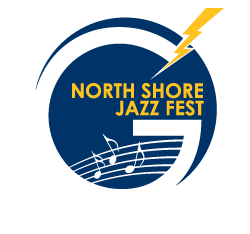 The 2017 North Shore Jazz Festival performance schedule is now available. Plan your day around your favorite band performances! Don’t miss our great featured performers: John Wojciechowski and MYA at noon, the 2016 Grand Champions: Champaign Central Jazz Ensemble at 6:10, and Bryan Carter and the Young Swangers featuring Dan Chmielinski immediately after that. This scheduled is subject to change so please be sure to check back a few days prior to the event. See you soon!